A BATTLE over Status Quo guitarist Rick Parfitt’s estimated £10 million fortune could be about to erupt, it has been alleged. Parfitt has a number of business interests which will be divided among family members, including estranged wife Lyndsay and four children. The 68-year-old rocker, who died from a severe infection on Christmas Eve in a Spanish hospital, reportedly split up with Lyndsay in October. Parfitt’s five-bedroom Marbella villa was reportedly put on the market in October. A source told The Sun that whoever inherits Parfitt’s wealth now ‘is up for dispute’. “There are going to be some tense times between the various family members in the months to come,” the source said. “He had no idea exactly how much he was worth and just spent it at his own free will. But there are millions left over and obviously he has all of his properties, too. “He actually left the organisation of his finances to his wife Lyndsay before deciding to split up. “They never divorced before he died so there are going to be a lot of legal issues in terms of what she is entitled to. 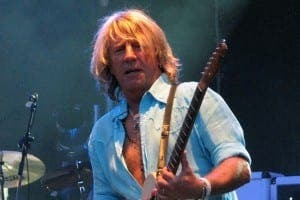 Parfitt was planning to release his autobiography and a new solo record in the coming months. Meanwhile, tributes have flowed in for Parfitt from the rock and roll world and beyond. Fellow Quo member Francis Rossi said ‘I was not ready for this’. “His life was never boring, he was louder and faster and more carefree than the rest of us,” Rossi said. 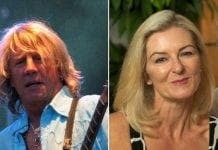 Parfitt’s son, Rick Parfitt Jr, tweeted: “I cannot describe the sadness I feel right now. To many he was a rockstar, to me he was simply ‘Dad’, and I loved him hugely. RIP Pappa Parf”. Dogged with ill health in recent years, Parfitt suffered a third heart attack while on tour with Status Quo in June which forced him to quit the band.